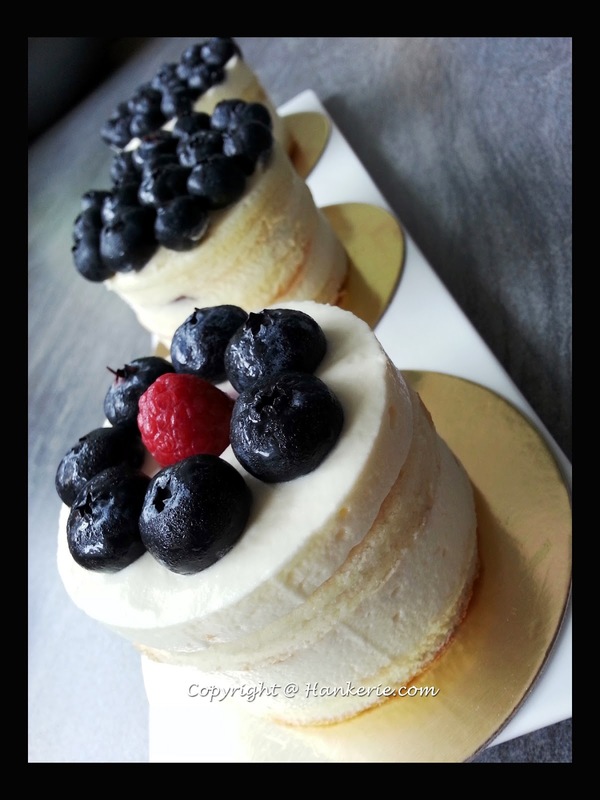 "Hankerie's Fresh Berries Vanilla Mousse Cake"
Have a world of mousse cakes with Hankerie this month!! Thanks to SSB for giving me the chance to host this month Aspiring Bakers challenge. Definition of the Mousse: Mousse can be defined as any soft or creamy dessert made light and fluffy by the addition whipped cream, beaten egg whites, or both. Note that Bavarians and chiffons fit the description. In fact, they are often served as mousses, but with gelatin reduced or left out so the mousse is softer. There are many kinds of bases for mousses. It can be chiffon, any cake layer, melted chocolate or even pureed fresh fruits. We want more ideas coming in for any mousse cake around the world. You can state where the recipe comes or adapt from. We do emphasize the originality & creativity of your bakes. Can be any mousse cake based on your own creativity, in the month of June 2013 until 1st week of July 2013. Post it on your blog between 01 June 2013 and 6th July 2013. 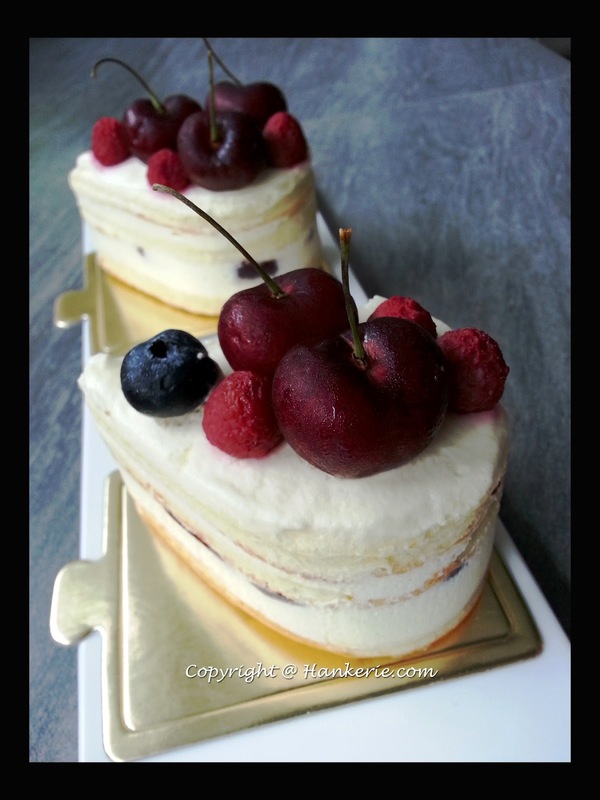 Please mention that you are submitting your post to Aspiring Bakers #32: World of Mousse Cake (June 2013) hosted by Hankerie and provide a link back to this post HERE. (alternatively, you can attach your photo in your email, preferably less than 500kb). Please use "Aspiring Bakers #32" as your email subject. You may submit more than 1 entry. The roundup will be posted on 07 July 2013. 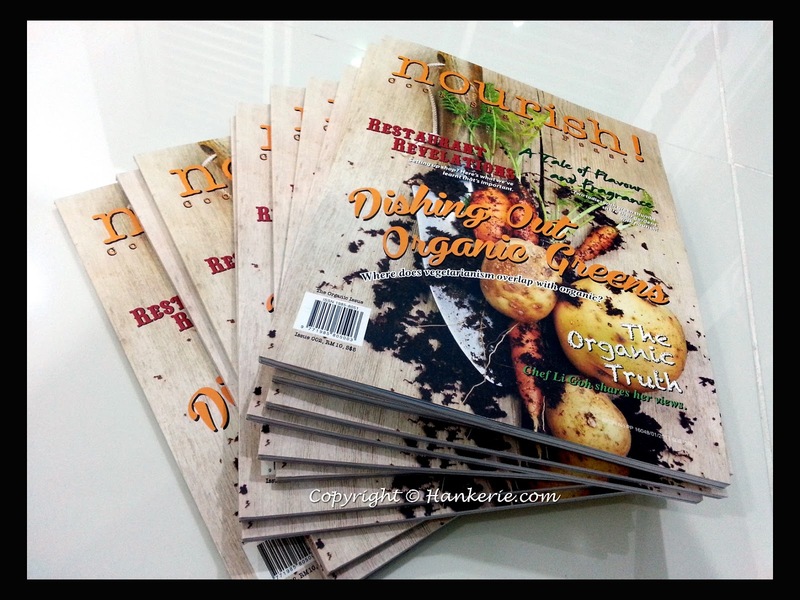 As a token of appreciation, I'm giving away 6 latest issue of food magazines. 3 for the winners who submit the entries. The winner determined by the top 3 most votes/likes entries in my "Hankerie" Facebook album as I will start to post all the entry photo in my "Hankerie" Facebook album and let people vote. 3 for others who leave comment in this post (leave your name and email) - as long as you're Hankerie's fans and lucky to be picked up by random number. The closing date for the votes is 12th July 2013. The winner will be announced in my blog & Facebook on 13th July 2013. For all the winners, you may collect your prize personally from me or you can pay the postage for mailing to your house (wherever you are in this world). If you are interested to find out what's on the previous Aspiring Bakers #31: Bao Ho-Chiak 包好吃 (May 2013) hosted by Miss B of Everybody Eats Well in Flanders., check it out. Hankerie, I love your blog so much. I've been following through you since 2 years ago. I've following your recipes, all of them are remarkable. Hope I can win a copy of your magazine. You really bake and cook very well!~ The food are so well-presented!~ Yummy!!! Thanks for the giveaway. Hope i can join in the month event. My name is xing hui. Hankerie is my idol. I want the giveaway. Recently been following your post. You have lots of interesting bakes that I'm finding the time to bake as well. Thanks for hosting this month's Aspiring Bakers! Hope I can make something worthy of entering :) and Ooo giveaway :D thanks! Love all of your bakes. I want this giveaway. Hello, I have been reading your blog for quite sometime now and I still do! And I really do enjoy it! I would love have a copy of the magazine as well.